Deeply influenced by the 80s academy of ambient guitarists (Bill Nelson, Robert Fripp, Michael Rother, Durutti Column), Mike Fazio's Orchestramaxfieldparrish project is a splendid concatenation of soaring e-bow guitars, heavenly synthesizers, crystalline percussion and an assortment of other instruments finely tuned to the frequencies of the heart and soul. Fazio's closest spiritual antecedents, however, serve as mere ghostly projections that infuse his compositions with a kind of invisible aura and rarely a heavy-handed presence. At their best, Fazio's songs are channels to other times and places that resonate in the pools of memory, anthems of transcendence for fallen angels and romantic warriors. The lovely "Bow" is a case in point. Chiming electric guitars create a lush dreamscape over which an orchestra of tuned percussion, wood, glass and assorted metals flicker like fireflies on a summer evening. Both intoxicating and entrancing, "Waiting for Twilight" builds swelling guitars into a symphonic architecture of longing ascension, where rich chordal clusters rise and fall like the shadows of velvet birds cast against a kaleidoscopic horizon. These and the other shorter pieces ("…and then a crowd, impossible to number…" and "Where the Angels Crash and Die," for instance) all share a consistency and fluidity of vision that the extended suites ("The Tears of Christ" and "Music from the Empty Corner") occasionally lack. This isn't to say that the longer compositions are too repetitive or directionless, only that within the less consciously circumscribed, more open-minded framework, Fazio tends to drift far afield to esoteric circles that only true initiates can fully appreciate. "The Tears of Christ" effectively utilizes musical space for the creation of sounding structures through time-a kind of kyrie eleison for solo guitar processed with a multitude of effects. "Music from the Empty Corner" is perhaps Fazio's clearest and most heartfelt expression of his connection to the Orphic myth he alludes to in the album's liner notes. Using little more than bells, gongs and synth, Fazio sculpts a mesmerizing tone poem of luminescent beauty. Here, timbre and pitch are constructed in the same way that a painter might use light and shadow on a canvas. Shimmering and radiant, "Music from the Empty Corner" sunders the darkness like veils of light from another sun-truly splendid music for the deep silences of the night. 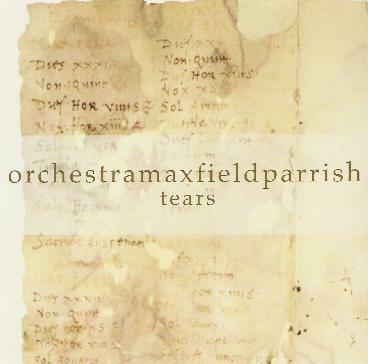 Tears is a rare oasis in what is increasingly becoming a barren world of sound. For more information you can visit the Faith Strange web site at: http://www.faithstrange.com. Email at info@faithstrange.com or orchestramax@earthlink.net.